Still looking for a way to add character to your living room? A way to make your sofa more appealing? 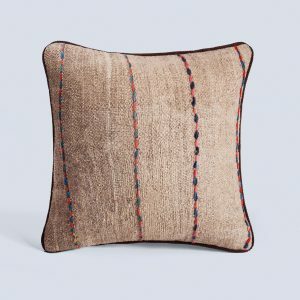 Crafted by hand and made of durable, earthy materials, our authentic kilim cushions and pillows will complement any décor and add warmth and vintage style to any interior. Like Lotus cushion covers our vintage floor cushions offer a range of styles – ideal for any taste. All of our lines of cushions and pillows are available in a range of colour combinations and sizes. Featuring distinctive local designs that blend modern and vintage styles, Lotus Handicraft cushion covers are made from natural, hand-woven fabrics that will add warmth to any interior or living space. Featuring distinctive local designs that blend modern and vintage styles, Lotus Handicraft cushion covers are made from natural, hand-woven fabrics that will add warmth to any interior or living space. All of our cushions are made from authentic Persian Kilims and feature timeless designs that will be appreciated by generations to come.